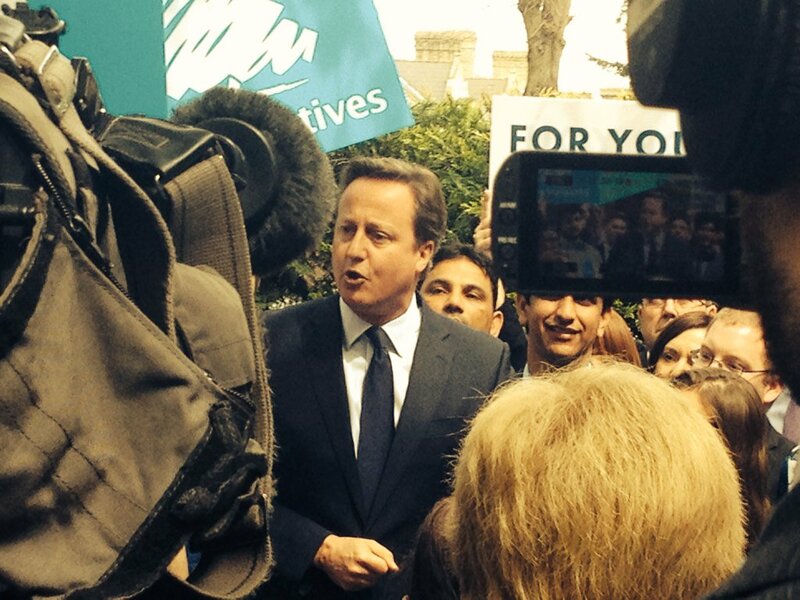 David Cameron in Peterborough. Credit: ITV News Anglia. During a speech he praised the work of councillors and the local Tory MP Stewart Jackson during the campaign. The Conservatives took control of Peterborough council after winning an extra four seats.The party had lost control of the unitary authority in 2014. Cameron said local election results were usually something sitting prime ministers dreaded "like the condemned man waiting for the hangman" but said that had not happened today. He also took the opportunity to criticise opposition leader Jeremy Corbyn. Labour saw some losses across the country - most heavily in Scotland. "I think these elections tell us something else as well. The Labour party have completely lost touch with the hard-working people they are supposed to represent. "They are so obsessed with their left wing causes, they forgot people want jobs, people want livelihoods, people want lower taxes, houses they can live in and afford to own." – David Cameron speaking in Peterborough.